What dominates the hydrogen photoionizing background: stars or quasars? How does the answer vary with redshift? What is the global rate of star formation and how does it evolve with redshift? Do Ly opacity-based star formation rate estimates agree with inferred star formation histories based on other types of data? Is the star formation history inferred (from Ly opacity or otherwise) consistent with reionization by ? What is the escape fraction, , of hydrogen photoionizing photons for galaxies and quasars? In an ancillary paper, the authors use a sample of previously published Keck (Vogt et al. 1994, Sheinis et al. 2002) and Magellan (Bernstein et al. 2003) high-redshift quasar spectra to constrain the IGM Ly opacity by measuring intervening neutral hydrogen absorption. 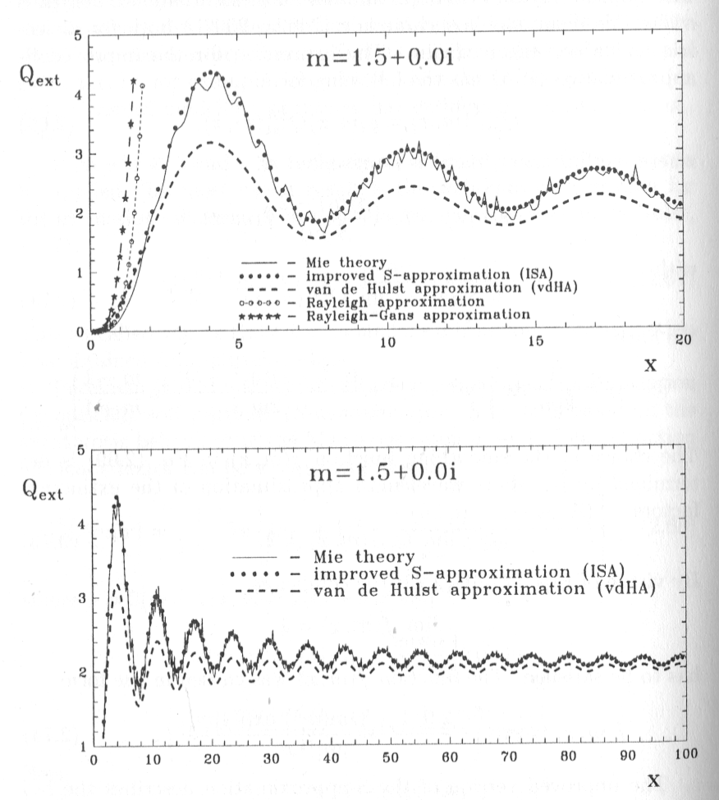 Whereas Gunn & Peterson 1965 discussed (what they considered a lack of) Ly absorption in the spectrum of a single quasar, 3C 9 at , Faucher-Giguere et al. 2008 use a sample of objects, most with appreciably higher redshifts (see Fig. 1). The resulting determination of is substantially improved relative to previous results, in part because the quasar sample employed is a factor of times larger than in any prior analysis. Figure 1: Quasar sample used by Faucher-Giguere et al. 2008 to determine the IGM neutral hydrogen opacity. Blue refers to Keck HIRES data, red to Keck HIRES+ESI data, and black to all HIRES+ESI+Magellan MIKE data. 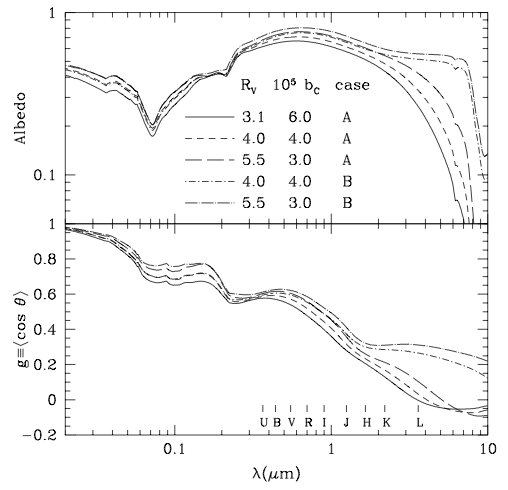 The authors use the IGM Ly opacity to constrain the total UV emissivity as a function of redshift, which can in turn constrain the amount of star formation as a function of redshift, quantified as , the comoving star formation rate density (units of solar masses per year per comoving cubic megaparsec). This means of constraining star formation history is complementary to more direct approaches, for example those using photometric surveys trace the amount of UV light and hence star formation as a function of redshift (see Comparison with Prior Results below). Inferring absolute scale of the star formation rate as a function of redshift requires appropriate corrections for the absorption of UV photons between their emission and entry into the diffuse IGM. Thus, dust extinction should be accounted for. 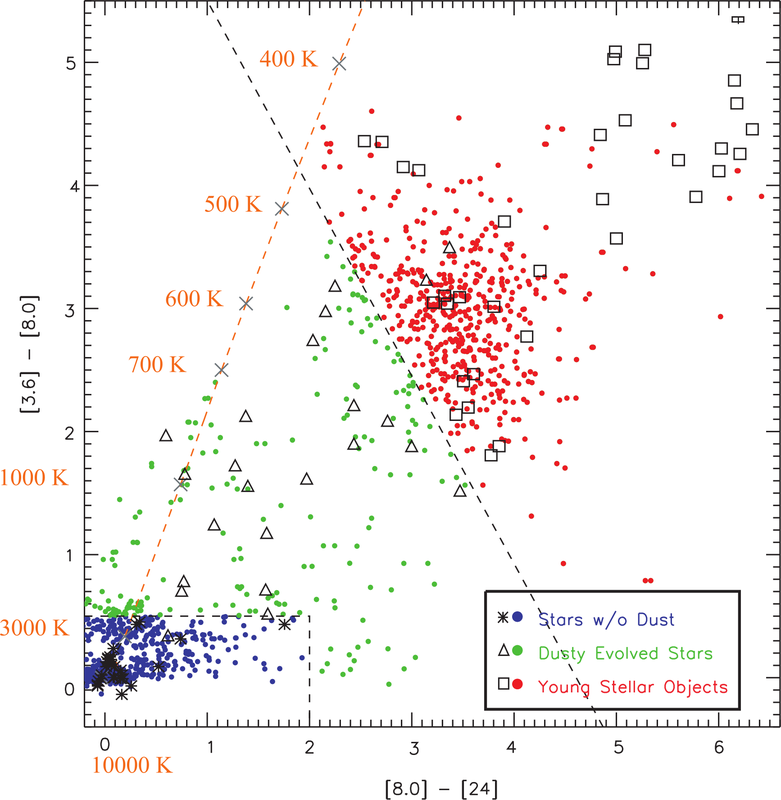 If dust extinction in galaxies evolves with redshift, this impacts determinations not only of the absolute scale of star formation, but also of its evolution. It turns out that the redshift evolution of dust corrections is poorly constrained at present, and therefore authors assume a dust correction that is independent of redshift. Note that the first proportionality involves implicit dependence, but all dependence in the remaining proportionalities is explicit. That’s why the authors’ plots of inferred , , look identical up to a factor of , as shown in Fig. 2 below. One thing to notice immediately in writing the last proportionality is that the authors are assuming that all of the emissivity is due to star formation in galaxies, neglecting quasars. Other more subtle assumptions are also involved, for example the last proportionality would also be violated if dust corrections evolved with redshift. Figure 2: Fig. 1, Fig. 11, and Fig. 12 of Faucher-Giguere et al. 2008. In all cases the black points with black error bars are the quantities inferred by the authors; the fact that the shape traced by the points in successive plots is so similar (the same up to factors of (1+z)) arises from the simple chain of proportionalities discussed above. Throughout the text, the authors make extensive comparison of their star formation results to those of one particular paper, Hopkins & Beacom 2006. This paper is considered by the authors to be the most thorough SFR history analysis to date , as it makes use of essentially all cosmological probes of star formation other than Ly opacity, going so far as to include astrophysical neutrino limits from Super-Kamiokande. 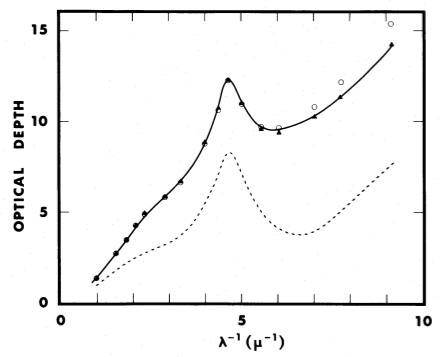 However, the results of Hopkins and Beacom 2006 have known deficiencies; in particular their best-fit star formation rate falls rapidly beyond , so fast in fact that star formation fails to reionize the Universe by . The results of Faucher-Giguere et al. 2008 are in tension with the results of Hopkins and Beacom 2006 insofar as the Ly opacity inferred SFR declines less rapidly at high (see bottom panel of Fig. 2 above, where “H&B (2006) fit” shows the SFR history of Hopkins & Beacom 2006). The SFR history of Faucher-Giguere et al. 2008 remains constant enough out to that the authors claim its extrapolation can reionize the Universe in time. Hence, this disagreement with prior work actually appears to be a virtue of the Ly opacity inferred SFR. As noted in 5.2.1, when the quasar contribution to the hydrogen photoionizing background is estimated from the bolometric luminosity function of Hopkins et al. 2007, at , the quasar contribution alone overproduces the photoionizing background. That’s why in Fig. 5 of the text the quasar contribution has been scaled down by factors ranging from 0.1 to 0.35. However, the quasar contribution (see Fig. 5 of the paper) falls off too rapidly with to be able to explain the Ly opacity measurements over the full redshift range considered. In 5.5.2 the authors use an alternative to the bolometric luminosity function to estimate the quasar contribution to the Ly photoionizing background. To do so, they impose the constraint that He II be reionized by . Since only quasars can contribute the eV photons necessary to doubly ionize He II, this requirement roughly fixes the normalization of the quasar luminosity function at the eV energy. Assuming a quasar spectral index then allows the authors to infer the fraction of the photoionizing background at energies relevant to H I ionization. The result is that perhaps of the H I photoionizing background derives from quasar emission. Clearly, there are disagreements yet to be resolved. The photoionizing background must be dominated by star formation for z 3, and star formation may dominate over quasars at all redshifts considered. The quasar bolometric luminosity function overproduces the photoionizing background with quasar emission alone, while He II reionization arguments suggest quasars make up some non-negligible (but less than unity) fraction 20% of the photoionizing background. need only be 0.5% for galaxies in order to match the photoionizing background. This value is lower than but possibly consistent with previous estimates. The inferred SFR history in this work peaks earlier than the SFR history of prior works, allowing star formation to reionize the Universe in time, by . We are performing a uniform and unbiased imaging survey of the Large Magellanic Cloud (LMC; ) using the IRAC (3.6, 4.5, 5.8, and 8 μm) and MIPS (24, 70, and 160 μm) instruments on board the Spitzer Space Telescope in the Surveying the Agents of a Galaxy’s Evolution (SAGE) survey, these agents being the interstellar medium (ISM) and stars in the LMC. This paper provides an overview of the SAGE Legacy project, including observing strategy, data processing, and initial results. Three key science goals determined the coverage and depth of the survey. The detection of diffuse ISM with column densities permits detailed studies of dust processes in the ISM. SAGE’s point-source sensitivity enables a complete census of newly formed stars with masses >3 Msolar that will determine the current star formation rate in the LMC. SAGE’s detection of evolved stars with mass-loss rates >1×10-8 Msolar yr-1 will quantify the rate at which evolved stars inject mass into the ISM of the LMC. The observing strategy includes two epochs in 2005, separated by 3 months, that both mitigate instrumental artifacts and constrain source variability. The SAGE data are nonproprietary. The data processing includes IRAC and MIPS pipelines and a database for mining the point-source catalogs, which will be released to the community in support of Spitzer proposal cycles 4 and 5. We present initial results on the epoch 1 data for a region near N79 and N83. The MIPS 70 and 160 μm images of the diffuse dust emission of the N79/N83 region reveal a similar distribution to the gas emissions, especially the H I 21 cm emission. The measured point-source sensitivity for the epoch 1 data is consistent with expectations for the survey. The point-source counts are highest for the IRAC 3.6 μm band and decrease dramatically toward longer wavelengths, consistent with the fact that stars dominate the point-source catalogs and the dusty objects detected at the longer wavelengths are rare in comparison. The SAGE epoch 1 point-source catalog has sources, and more are anticipated when the epoch 1 and 2 data are combined. Using Milky Way (MW) templates as a guide, we adopt a simplified point-source classification to identify three candidate groups-stars without dust, dusty evolved stars, and young stellar objects-that offer a starting point for this work. We outline a strategy for identifying foreground MW stars, which may comprise as much as 18% of the source list, and background galaxies, which may comprise ~12% of the source list. Whew! What a mouthful of text! What does that abstract boil down to? This article presents an overview and preliminary results from the SAGE survey. The SAGE survey was a survey of the Large Magellanic Cloud (LMC) in the infra-red from 3.6-160 microns using the Spitzer Space Telescope. The goal of the survey was to obtain a dataset that could be used to study star formation, the ISM, and mass loss from evolved stars. This paper does not directly answer science questions. Rather, the purpose of this paper is to report the status of the survey to the community so the community can plan follow up work. What is the nature and quality of the data? What sources have been identified, and how many of them? What are the limits of the survey? Using this information, other scientists can then pursue science questions, likely related to the broad science goals of the survey. Studying the properties of diffuse ISM, in particular the properties of dust. SAGE aims to detect emission corresponding to column densities of of H or greater. This will allow SAGE to measure the dust-to gas ratio across the ISM and look for variations. This traces the degree of dust-gas mixing in the LMC. One can imagine using this as a proxy for processes like turbulence. Further, by using color ratios and fitting the SED for different grain size distributions, SAGE will be able to study the spatial variation in grain size distribution in the LMC. In particular, SAGE aims to get high-resolution data on Polycyclic Aromatic Hydrocarbon (PAH) emission. This emission traces the smallest dust particles, which are important because of their role in heating. Thanks to their small size relative to the photon reabsorption length and processes like secondary and Auger electron emission, these small dust grains are particularly efficient at heating their surrounding gas via the photoelectric effect. Finally, SAGE will have the resolution and spectral range sufficient to distinguish stars from ISM, and identify individual regions of the ISM such as HII regions, molecular clouds, and photodissociation regions. This census will greatly improve the sample size of objects available to researchers studying these topics. Obtaining a complete census of young stellar objects (YSOs). SAGE is sensitive to newly-formed stars with mass exceeding 3 . The survey should be able to obtain an unbiased, complete census of all such objects throughout the LMC. This should include both massive star formation regions (traced by HII regions) and lower mass star formation regions (traced by Taurus complexes). The two epochs of SAGE data should also allow variability studies for YSOs, looking for objects like FU Orionis stars, a class of star that exhibit abrupt increases in luminosity on timescales of a year. Current models to explain these stars revolve around accretion from disks on to pre-main-sequence objects. Study mass loss in evolved stars. SAGE can detect mass-loss rates of . This should allow a complete census of evolved stars with appreciable mass loss rates throughout the LMC. The two epochs of SAGE data should also inform studies of variability in mass loss rates, since mass loss processes in evolved stars are also thought to occur on timescales of around a year. The SAGE survey aims to understand and characterize the ISM, star formation, and mass outflows. These phenomena are permeated with dust, which impede observations in the visible due to extinction. However, dust extinction in the near-IR is minimal, while in the far-IR the presence of dust becomes an asset, as irradiated dust reradiates in that wavelength regime. This motivates the use of IR observations to achieve SAGE’s science goals. SAGE builds on a number of IR surveys, both ground-based (2MASS) and space-based (IRAS). Thanks to improvements in telescope design and detector sensitivity, Spitzer is able to combine a greater wavelength range than IRAS with being above the atmospheric extinction 2MASS had to deal with. These advances allow SAGE to push beyond previous surveys and target fainter – and more numerous – dusty sources in the LMC out of the reach of previous surveys. Specific goals of SAGE include detecting IR point sources down to the spatial resolution limit of Spitzer, and mapping dust emission from HII regions, molecular clouds, and other features from the ISM at high SNR. SAGE observed the LMC using Spitzer’s IRAC and MIPS cameras. A region corresponding to the LMC was imaged by the telescope in 7 different bands, from the near to far IR. IRAC imaged in the near-IR in the 3.5, 4.5, 5.8 and 8.0 bands (291 hours) and MIPS in the mid and far IR in the 24, 70 and 160 bands (217 hours). Individual tiles underwent absolute photometric calibration using a network of pre-selected standard stars and were then mosaiced together to form the final survey. Data was taken in two epochs separated by 3 months to allow variability studies. The combined epoch 1 and 2 data has data gaps smaller than a pixel for MIPS. The survey achieved an angular resolution of 2” for IRAC, corresponding to a 0.5 pc spatial resolution at the distance of the LMC. Similarly, MIPS achieved a resolution of 6”, which corresponds to 1.5 pc in the LMC. The LMC has a number of properties that make it useful for exploring the SAGE science goals. First, it is an observationally opportune target. Its close proximity (50 kpc) relative to other galaxies allows for high photon flux and high SNR. A viewing angle of means the LMC is nowhere near edge-on, making it much easier to distinguish features. The combination of these features allow resolving features in much greater detail than permitted by imaging more distant galaxies. Further, lines of sight to the LMC are clear of the Small Magellanic Cloud (SMC) and Milky Way (MW). The expectation on the number of substantial clouds per line of sight is small, so if a cloud is detected along a line of sight, it is the only one. Not having to try to separate clouds along the line of sight greatly simplifies the analysis. Further, all clouds are located at approximately the same distance, making comparisons along the line of sight much easier. Scientifically, previous surveys such as IRAS and 2MASS have shown that the LMC possesses features at all spatial scales, offering a rich diversity of structures to study and promising the opportunity for a wide variety of science. The low metallicity of the LMC (Z=0.3-0.5) corresponds to the metallicity of the universe at Z~1.5, the era of peak star formation. Studying the LMC offers insight into what star formation and galaxy evolution might have been like during that key epoch. The authors chose two HII regions within the LMC, N79 and N83, to investigate qualitatively in this paper in order to demonstrate the utility of the SAGE survey. N79 and N83 were chosen because they had not been studied at Spitzer wavelengths, contain both young and old stellar populations, and happened to be some of the first regions processed by the SAGE pipeline. Some preliminary results are sketched out below. In these two panels, the point sources classified as YSOs separate out nicely from the stars without dust and dusty evolved stars, which in the right panel cluster along the main-sequence. The SAGE paper that we read in for Journal Club serves to introduce the survey and present some of its capabilities through the preliminary analysis sketched out above. More detailed results from two subsequent papers are outlined in what follows. The first paper by Meixner et al. 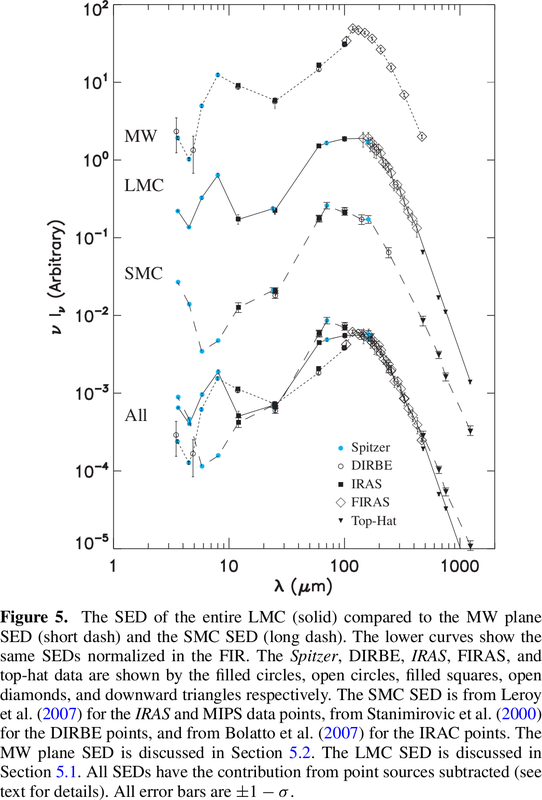 (2009), and titled “Measuring the lifecycle of baryonic matter in the Large Magellanic Cloud with the Spitzer SAGE-LMC survey” (ADS Link), summarizes certain SAGE results from a 2008 IAU symposium on the Magellanic system. The paper summarizes efforts to put lower bounds on the total rate of star formation and mass loss from AGB stars within the LMC. The authors first present a map of dust column density derived from 160 μm emission, which is optically thin throughout the LMC, and thus a good tracer of the total dust mass of the galaxy. This map is compared to the column density of HI (from 21 cm emission) and CO. An “infrared excess map” is obtained by subtracting the total gas column density from HI and CO from that determined by dust emission. The infrared excess seems to follow the HI density, and the authors propose three possible origins for the excess: H2 gas not traced by CO emission, HI not detected by 21 cm emission, or variations in the gas-to-dust ratio. The total ISM mass is estimated at , as compared to a total stellar mass of . The authors summarize the work of Whitney et al. 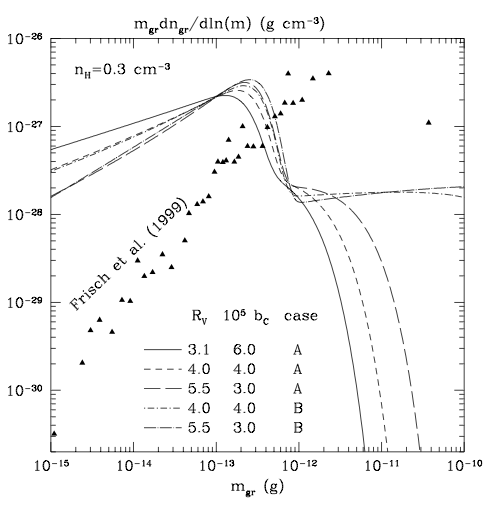 (2008) (ADS Link), who fit the most massive of ~1000 YSOs detected by the survey to a Kroupa (2001) (ADS Link) initial mass function and infer a total star formation rate of 0.1 . Whitney et al. note, however, that the UV flux from the LMC gives a higher star formation rate, and that their catalogue of YSOs in the LMC is by no means complete. Meixner et al. note that more recent work presented at the proceedings finds five times as many YSOs using the same color cuts as Whitney et al. 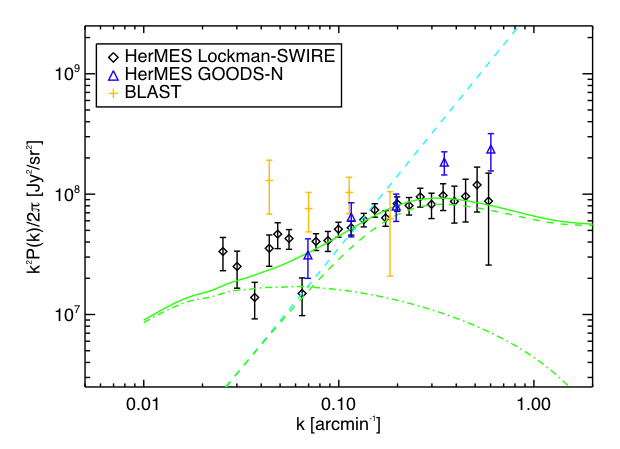 Finally, the mass-loss rate of AGB stars is estimated by comparing the 8 μm emission to scaled atmospheric models. 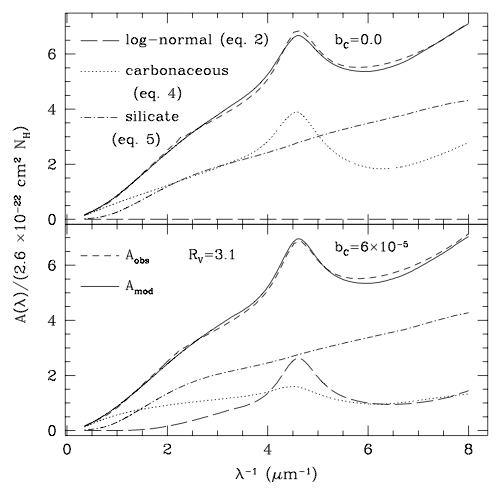 The 8 μm excess has been previously correlated to AGB mass-loss rates, and the resulting relation is applied to the entire sample of AGB stars, giving a total mass-loss rate of . The departure is not limited to the LMC, but it also present in SMC. The authors consider a flatter distribution of very small grains (VSGs) in the LMC to be the most likely explanation of the infrared excess. In all, however, they find the relative abundances of dust species in the LMC to be very similar to those in the MW. Read the (classic) paper by Gunn & Peterson (1965). Summary by Ragnhild Lunnan & Aaron Meisner. The probability of scattering a photon in a proper length interval is given by , where n(t) is the number density of neutral hydrogen at time t, and is the cross-section for the Ly-α transition. is the redshift at which the photon is being scattered, i.e. , where is less than the redshift of the quasar. Plugging in , together with an expression for dl/dz from the cosmology, the total optical depth can be found by integrating over redshift. This again yields a relation between the optical depth and the number density of (neutral) hydrogen. Interpretation: Hydrogen must be ionized! The authors further argue that collisional ionization is too inefficient and so unlikely to be the culprit, but radiative ionization can do the job provided that the temperature of the IGM is high enough. Finally, it is pointed out that ionized hydrogen will lead to non-negligible optical depth due to Thomson scattering, for very distant objects. The measurement of the Thomson optical depth in the CMB, in fact, places constraints on the mean redshift of reionization. More directly, though, observations of the (lack of) Gunn-Peterson troughs in quasars place lower limits on the end of reionization: if no trough is observed at z=6, for example, reionization must have been essentially complete at that redshift. This article describes a result from the recent paper by (Amblard et at 2011). This paper studied the Cosmic Infrared Background (CIB), emission from background sub-resolution submillimeter galaxies, using the Herschel Space Observatory. By taking a power spectrum of the CIB and comparing to models of dark matter distribution, they were able to find a lower bound on the mass scale required for a cluster to form a large, star-forming galaxy. The observatory used for this study was the Herschel Space Observatory. Herschel is a 3.5-meter ESA telescope sensitive to the far IR and sub-mm wavelength ranges. Its Earth-trailing orbit at L2 allows it to avoid the thermal cycling and changing fields of view that challenge telescopes in Earth orbit. The specific instrument used was SPIRE, a sensitive photometer with passbands at 250, 350 and 500 microns. All three channels were used in this study. Faint, sub-mm galaxies are responsible for more than 85% of extragalactic light emission. This background emission is termed the Cosmic Infrared Background. Low-resolution observations (such as Herschel SPIRES) cannot resolve these large, star-forming galaxies individually, but their clustering should still be visible in variations in the CIB intensity (Amblard et al 2011). This paper uses these variations to study large-scale structure in the universe. To this end, the authors conduct a 13.5-hour survey of a 218’ by 218’ field in the “Lockman Hole”. This region has very little dust, meaning that the extragalactic CIB emission is more readily detected. The authors implement a number of sophisticated techniques to remove foreground objects and remove instrumental effects, creating a map of the CIB – the first to date. So what does this map tell us? Nothing – yet. To get useful data out of this model, a few more steps are needed. First, the authors take a power spectrum of the data. This gives information on the intensity at different angular separations. If sources are tightly clustered, emission should be high at small separations, which corresponds to high k, where k=1/separation. To proceed further, we must make some key assumptions. First, the paper assumes the dark matter distribution is traced by these galaxies; therefore, clustering of galaxies traces clustering of dark matter. Second, we must assume we know something about how this dark matter is distributed. The authors assume the Navarro-Frenk-White profile for the dark matter halo density function. The authors assume the concordance cosmology model. This allows, for example, conversion of redshift into distance. Finally, the authors construct a model for the population of galaxies within a given dark matter halo, the Halo Occupation Distribution (HOD). This model divides galaxies into two types: central, high mass star-forming galaxies occupying the halo center, and small “satellite” galaxies. The model assumes a threshold mass required for forming a central galaxy, so the number of central galaxies is , where H is the Heaviside step function. Note this model assumes any one halo will form at most one large star-forming galaxy. The number of satellite galaxies is taken to be , where and are parameters to be determined. corresponds to the mass scale required to form one satellite galaxy in addition to the central galaxy, and is constrained to be 10-25 times based on numerical simulations. Using these assumptions, the authors are able to derive a model power spectrum for the CIB, which they then fit to data. Figure 2 below presents the clustering power spectrum and the fits to the data. In modeling the power spectrum, the authors divide it into , where represents 1-halo clustering (clustering at short scales) and represents 2-halo clustering (clustering at long scales). Figure 2: Clustering power spectrum and fits at 500 microns, taken from (Amblard et al 2011: Supplemental Information). The blue line represents shot noise (subtracted off). The green lines represent power spectrum fits. The dashed green line represents the 1-halo term, the dash-dotted green line represents the 2-halo term, and the solid green line represents the total clustering power spectrum. In executing these fits, the authors find that for every waveband, . Averaged over all wavebands, the authors find , with uncertainty of . This result empirically sets a minimum mass scale for the dark matter halo required to form a central, massive star-forming galaxy. This is huge. Since these galaxies are thought to be the most active sites of star formation in the known universe, this gives “the preferred mass scale of active star formation in the universe”. Higher mass halos are of course allowed, but tend to be much rarer. The authors speculate that this minimum constraint is set by photoionization feedback: any smaller, and the gravity well of the dark matter halo would be insufficient to keep the galaxy together against radiation pressure, and it would fragment into smaller galaxies. However, this interpretation should be treated with caution. This result runs far ahead of theory; existing semi-analytic galaxy formation models predict a mass scale of order 10 times larger or more. This result provides a key empirical (though heavily model-dependent) input for theorists to consider and work towards in developing their models, and improving our understanding of galaxy formation processes in the Universe. Amblard, Alexandre et al. “Submillimetre Galaxies Reside in Dark Matter Haloes with Masses Greater than 3*10^11 Solar Masses.” Nature 470 (2011): 510-12. Bouche, N. et al. “The Impact of Cold Gas Accretion Above a Mass Floor on Galaxy Scaling Relations.” Astrophysical Journal 718 (2010): 1001-1018. Clavin, Whitney, and Trent Perrotto. “Herschel Measures Dark Matter for Star-Forming Galaxies.” NASA.gov. NASA, 16 Feb. 2011. Web. 20 Apr. 2011. <http://www.nasa.gov/mission_pages/herschel/herschel20110216.html&gt;. “Herschel.” ESA Science & Technology. European Space Agency. Web. 20 Apr. 2011. <http://sci.esa.int/science-e/www/area/index.cfm?fareaid=16&gt;. “Herschel Space Observatory.” Wikipedia. Web. 20 Apr. 2011. <http://en.wikipedia.org/wiki/Herschel_Space_Observatory&gt;. “”SPIRE – Spectral and Photometric Imaging Receiver”” Herschel Science Center. European Space Agency, July 2007. Web. 20 Apr. 2011. <http://herschel.esac.esa.int/Docs/Flyers/SPIRE_flyer_4July2007.pdf&gt;. The hypothesis that massive stars form by accretion can be investigated by simple analytical calculations that describe the effect that the formation of a massive star has on its own accretion flow. Within a simple accretion model that includes angular momentum, that of gas flow on ballistic trajectories around a star, the increasing ionization of a massive star growing by accretion produces a three-stage evolutionary sequence. The ionization first forms a small quasi-spherical H II region gravitationally trapped within the accretion flow. At this stage the flow of ionized gas is entirely inward. As the ionization increases, the H II region transitions to a bipolar morphology in which the inflow is replaced by outflow within a narrow range of angle aligned with the bipolar axis. At higher rates of ionization, the opening angle of the outflow region progressively increases. Eventually, in the third stage, the accretion is confined to a thin region about an equatorial disk. Throughout this early evolution, the H II region is of hypercompact to ultracompact size depending on the mass of the enclosed star or stars. These small H II regions whose dynamics are dominated by stellar gravitation and accretion are different than compact and larger H II regions whose dynamics are dominated by the thermal pressure of the ionized gas. Summary by Max Moe and Katherine Rosenfeld. Click here to download a pdf version of the class handout. We construct size distributions for carbonaceous and silicate grain populations in different regimes for the Milky Way, LMC, and SMC. The size distributions include very small carbonaceous grains (including polycyclic aromatic hydrocarbon molecules) to account for the observed infrared and microwave emission from the diffuse interstellar medium. Our distributions reproduce the observed extinction of starlight, which varies depending on the interstellar environment through which the light travels. As shown by Cardelli, Clayton, and Mathias in 1989, these variations can be roughly parameterized by the ratio of visual extinction to reddening, . We adopt a fairly simple functional form for the size distributions, characterized by several parameters. We tabulate these parameters for various combinations of values for and , the Carbon abundance of very small grains. We also find size distributions for the line to HD 210121 and for sigh lines in the LMC and SMC. For several size distributions, we evaluate the albedo and scattering asymmetry parameter and present model extinction curves extending beyond the Lyman limit. The optical depth, , is related to to the size of the particles via their cross section. Previous to this work, other works (Mathis, Rumpl, & Nordsiek) had fit observed interstellar extinction using distributions of particle sizes well fit by a power law with index of about -3.5. Since that work in 1977, further observations of the diffuse interstellar medium suggested the existence of population of dust grains smaller than 50 angstroms. Furthermore, the lack of a 10 micron silicate feature suggested that this population should be largely composed of non-silicate grains and specific emission features were identified with carbonaceous compositions, specifically polycyclic aromatic hydrocarbons (PAHs). This paper tried to fit the extinctions that would result from a large small and large(er) grain population to reproduce the observed extinctions along various lines of sight. Figure 4 from Mathis, Nordsieck, and Rumpl (1977) showing the modeled optical depth (dots and triangles) and observed optical depth (solid one). The dashed line is the contribution of graphite to the extinction. Considering different lines of sight is important because extinction varies on the environment that the light is passing though. The ratio of extinction in the V band (e.g. visual extinction) to reddening, , had been previously shown to parametrize this extinction. Therefore the model featured in this paper used this parameter as a proxy of interstellar environment. Lacking a theory for the distribution of interstellar grain sizes, the authors used a simple functional form that had control over some maximum grain size, the steepness of this size cutoff, and the slope of the distribution of grains below the cutoff. They included two main species of grains, silicate and carbonaceous, where both had the same functional form but with an additional small grain population for the carbonaceous grains. They modeled this population using two log-normal size distributions centered at 3.5 and 30 to explain observed dust emission in the microwave and IR bands as well as the 750 and 2175 extinction features. See equations (2) – (6) to see the equations written out in full. Taking both grain species together leaves 11 parameters for fitting: 5 for silicon and 6 for cabonaceous grains. The extra parameter is the Carbon abundance, $b_c$, which is a proxy for the contribution of the small grains. is the column density of grains with size less than a and is computed from the grain size distribution. The hard physics comes from teh extinction efficiency factor, which is generally a function of size, geometry, composition, and wavelength. The authors assume a simple spherical geometry and grains of a single composition – no ice mantles, mixed species, or conglomerated grains (see figure below). The calculation is done using a Mie scattering code that requires the dialectric function of the material (also a function of size, composition, and wavelength). The Mie scattering theory also considred albedo and asymmetry effects. Albedo and asymmetry for a number of size distributions. Figure 15 from Weingartner and Draine. For the silicate grains the authors use results from laboratory measurement of crystalline olivine smoothed over to remove a feature that is not observed. The carbonaceous grains are assumed to have a compositional distributiion as well where the smallest grains are PAH molecule, largest are graphite, and in between are some mixture. Since we don’t really know what the PAHs are exactly, the dialectric function is derived from astronomical observations. Example extinction coefficients calculated from Mie Theory. From pg 58 of Voshchinnikov's "Optics of Cosmic Dust I"
Putting all of this together, the authors generate extinction curves for a given and and fit by minimizing one or two error functions. The first (case B) considers the error in the modeled and observed extinction. The other (case A) includes abundance and depletion values calculated from solar neighborhood values. The motivation for Case A is to avoid fits for high that reduce the grain volume past astrophysical intuition. Click here for a graphical sketch of the fitting process. Grain-size distributions for Rv = 3.1. Figure 2 from Weingartner & Draine. Model extinction curve optimized to fit the observed curve. Figure 8 from Weingartner & Draine. The paper considers dust in the Milky Way and towards HD 210121, the LMC and the SMC. With a small value of , features weaker than parametrized by , and a strong UV rise, HD 210121 was a test of the model. The authors were able to find grain-size distributions for and conclude that their grain model dealt well with thin line of sight. Table 2 contains the fitted parameters and the silicate grain volume for all cases exceeds that of the solar neighborhood. In class we discussed how this parameter probes star formation history since silicates are produced in supernovae and not in the winds of hot AGB stars like carbonaceous grains. Next they considered the lines of sight towards the metal poor LMC and SMC – a useful test of the model applied to extragalactic sources. Direct or in situ measurement of ISM grain size distributions are rare and difficult to make. High altitude airplanes can collect inter-planetary dust (IPD) including GEMS grains (glass with embedded metal and sulfides) that, while much larger than the dust considered in this paper, are very primitive grains. NASA’s Stardust mission captured cometary particles and successfully delivered the payload back to Earth. An interplanetary dust particle. From http://www.astro.washington.edu/users/brownlee/. 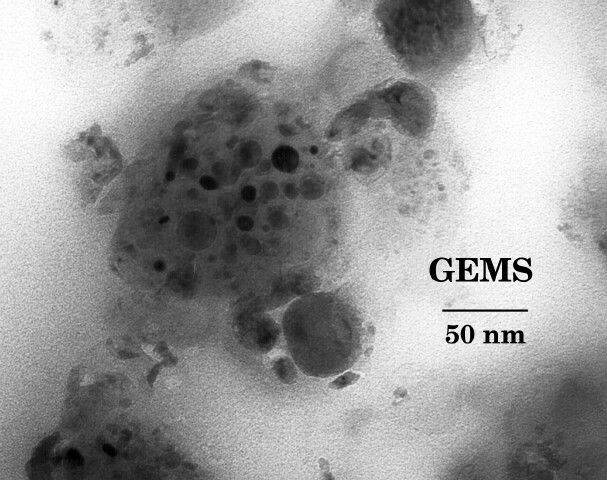 A GEMS particle. Image from http://stardust.jpl.nasa.gov. 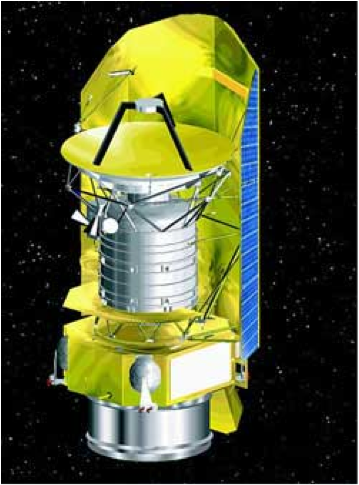 The Ulysses and Galileo spacecraft also made in situ measurement of the local interstellar medium by measuring the impact of interstellar grains. The model presented in this paper appears to underestimate the number of large particles while overestimating the number of small particles (Frisch et al, 1999). Size-sorting and segregation are listed as possible causes of the disagreement. Mass distribution of grains in the local ISM from spacecraft measurements and the presented models. Figure 24 from Weingartner & Draine. While there are a number of acknowledged caveats assumptions in this relatively simple model, the model appears consistent with observations. Improvements that could be added to the model include adding a coating layer to the grains to reproduce the 3.4 micron feature or weak inter-stellar bands. 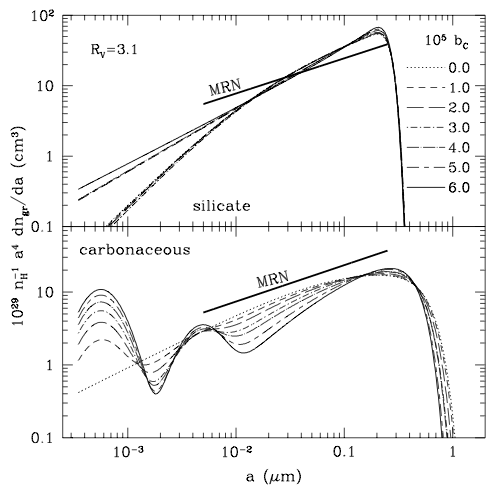 Regardless, this simple model is sufficient and consistent in reproducing extinction curves so that errors and deviations in depletion, metallicities, dielectric constants, etc. are somewhat negligible. In addition, for a given environment the grain size distribution appears to vary. This suggests that small grains come together to form large grains especially in dense clouds. Similarly, collisions in shock waves can shatter the large grains and replenish the small grain population. Lastly, the cutoff in the size distribution is limited by the timescales of coagulation, shattering, accretion, and erosion along with the proportion between PAH molecules (small grains) and graphite (large grains). One caveat is that while this paper assume spherical dust grains, real dust is more composite, fluffy, and amorphous. Furthermore, the derived grain-size distribution is disparate from dust in the local ISM. Interstellar dust passing through our solar system has a steeper slope dominated by larger grains as well as a larger cut-off in maximum size. Fundamentally, the dielectric functions used are not accurate for silicates and graphites, and especially so for PAHs. Lastly, degeneracies remain in some fitting parameters (e.g. the carbon grain-size slope at small sizes vs. ) so there parameters must be constrained from other observations. ARTICLE: Why are most molecular clouds gravitationally unbound? The most recent observational evidence seems to indicate that giant molecular clouds are predominantly gravitationally unbound objects. In this paper we show that this is a natural consequence of a scenario in which cloud-cloud collisions and stellar feedback regulate the internal velocity dispersion of the gas, and so prevent global gravitational forces from becoming dominant. Thus, while the molecular gas is for the most part gravitationally unbound, local regions within the denser parts of the gas (within the clouds) do become bound and are able to form stars. We find that the observations, in terms of distributions of virial parameters and cloud structures, can be well modeled provided that the star formation efficiency in these bound regions is of order 5 – 10 percent. 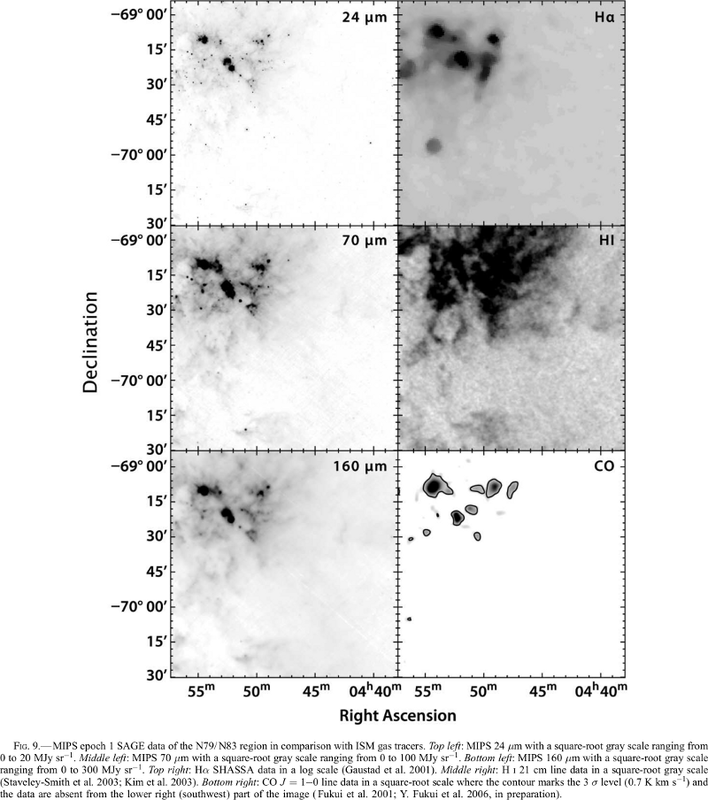 We also find that in this picture the constituent gas of individual molecular clouds changes over relatively short time scales, typically a few Myr. Supernova explosions in a cloudy interstellar medium produce a three-component medium in which a large fraction of the volume is filled with hot, tenuous gas. In the disk of the galaxy the evolution of supernova remnants is altered by evaporation of cool clouds embedded in the hot medium. Radiative losses are enhanced by the resulting increase in density and by radiation from the conductive interfaces between clouds and hot gas. Mass balance (cloud evaporation rate = dense shell formation rate) and energy balance (supernova shock input = radiation loss) determine the density and temperature of the hot medium. A self-consistent model of the interstellar medium developed herein accounts for the observed pressure of interstellar clouds, the galactic soft X-ray background, the O VI absorption line observations, the ionization and heating of much of the interstellar medium, and the motions of the clouds. It would be unwise to assume that all the dark places shown on photographs of the sky are due to intervening opaque masses between us and the stars. In a considerable number of cases no other explanation seems possible, but some of them are doubtless only vacancies. I do not think it necessary to urge the fact that there are obscuring masses of matter in space. This has been quite definitely proved in my former papers on this subject. If any doubt remains of this it will perhaps be readily dispelled by a close examination of the photographs previously printed.